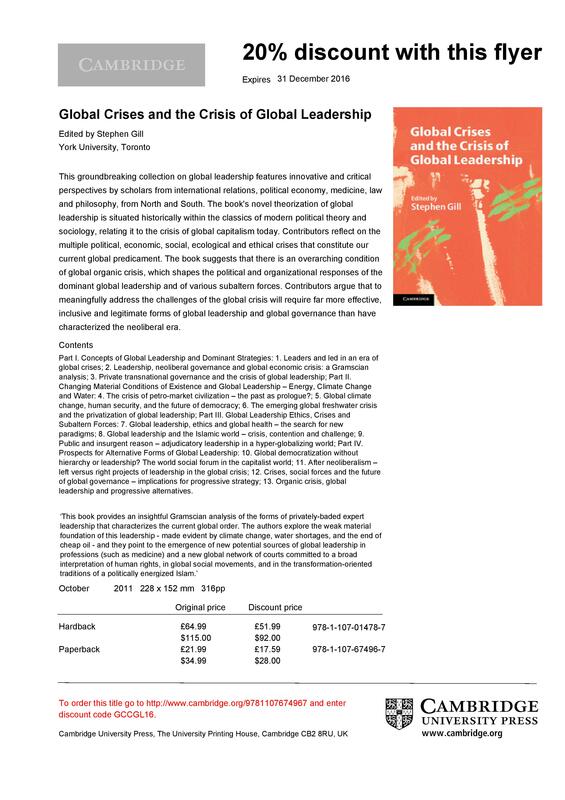 ““Access and Inclusion/Exclusion in Global Governance” (2018).” (2018). 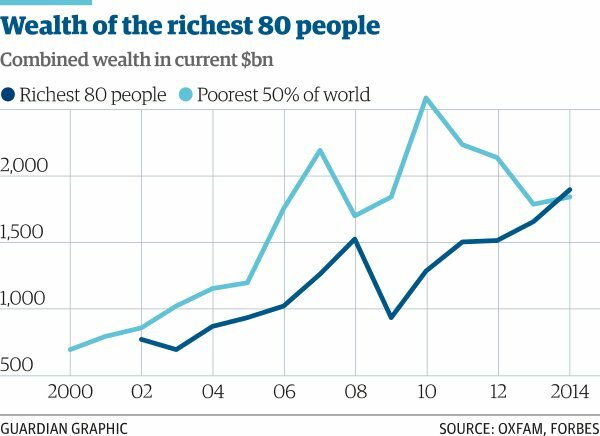 This is a historically grounded paper that looks at the long historical sweep of global governance associated with the emergence of merchant, industrial and 20th-century forms of capitalism. 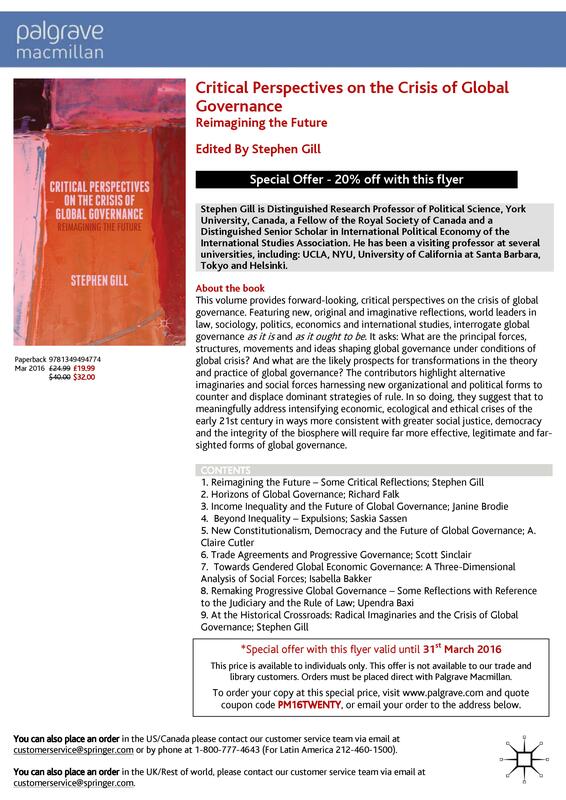 It is connected to and builds from my edited work “Critical Perspectives on the Crisis of Global Governance: Reimagining the Future” (Palgrave 2015). 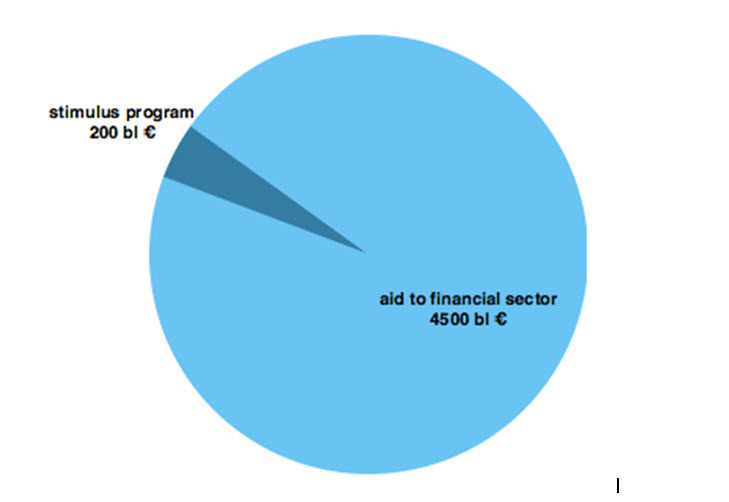 The paper was to open the conference of the same name, in Barcelona, (11 & 12 January 2018, Organized by ESADEgeo (ESADE Business School Centre for Global Economy and Geopolitics) and IBEI (Institut Barcelona d’Estudis Internacionals). 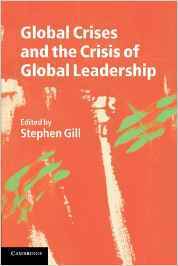 This entry was posted in Critical Perspectives on Global Governance on April 5, 2018 by Stephen Gill. I have many requests for this paper which was originally presented at the International Studies Association Annual Convention in Los Angeles in 2000, and subsequently posted on a website called Global Site. Unfortunately appears to have disappeared and as a result I am posting here on my website, and for reasons that escape me, I never tried to have it published. 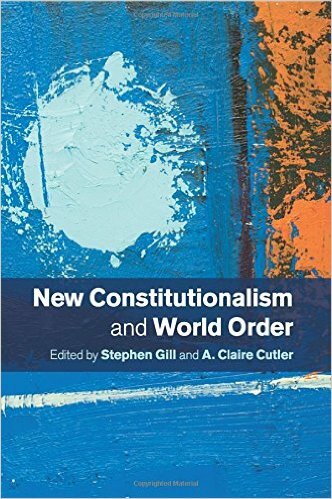 This entry was posted in Constitutionalism, Critical Perspectives on Global Governance on January 9, 2018 by Stephen Gill. 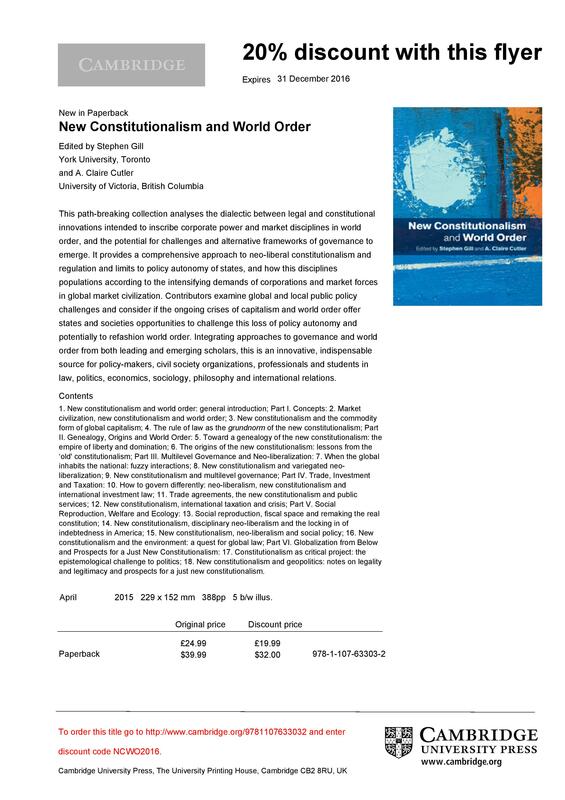 Palgrave Macmillan and Cambridge are offering 20% discounts on New Constitutionalism and World Order (until December 31, 2016), Global Crises and the Crisis of Global Leadership (until December 31, 2016) and Critical Perspectives on the Crisis of Global Governance (until March 31, 2016). Click the related image below for the offers. 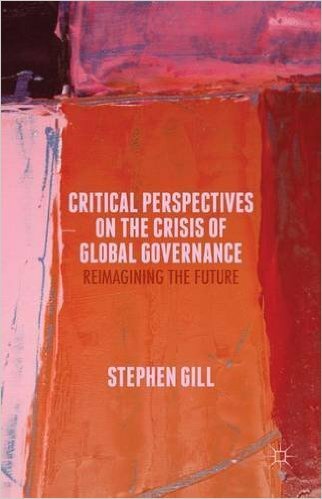 This entry was posted in Critical Perspectives on Global Governance, global crisis, new constitutionalism and tagged Paperback discounts on February 27, 2016 by Stephen Gill.